The message of Harmony Day is “our diversity is our strength.” It is a day to celebrate Australia’s diversity. It is a day of cultural respect for everyone who calls Australia home – from the traditional owners of this land to those who have come from many countries around the world. 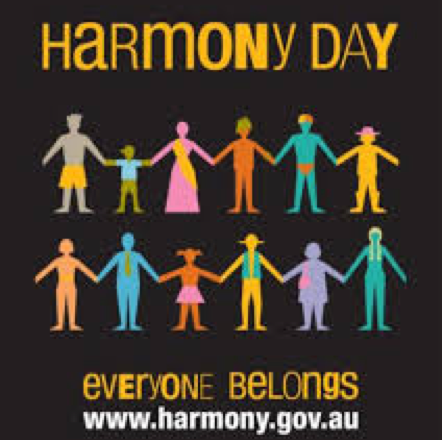 At Craigburn we will again be celebrating Harmony Day this year on Tuesday 21st March, including a chance for students to dress up in ‘orange’ clothing. Please remember that clothing needs to be sunsafe and appropriate footwear must be worn. SLEG (Student Leaders Executive Group) will be involved in coordinating a sharing assembly at some stage during the day showing some of the work that classes have done around this theme. A note will be sent out later this week as a reminder.